Byrnes Late Night Pharmacy was established over 100 years ago and is to date the only late night pharmacy in Dundalk opening until 9pm five nights a week. It was taken over by Padhraic Conlon in 1998 and has recently been professionally refitted, providing a comfortable and convenient shopping experience for our customers. We employ a team of qualified and experienced retail and pharmaceutical staff who are easily approachable and able to assist you in your general purchases or to advise on over the counter medicines. 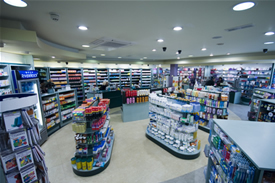 As well as preion management and over the counter medicines, the pharmacists at Byrnes will be able to supply customers with information on our range of complimentary and herbal medicines available in store. We offer prescription services to the local community through the convenient use of monitored dosage systems, prescription management and prescription pick up and delivery, offered to both the public and local nursing homes. 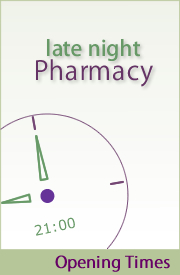 Byrnes Late Night Pharmacy is also host to an onsite medical centre with in house doctor, so there is no need to go any further for your standard medical needs. In our beauty room we perform organic spray tanning and make up application for those who like to indulge in a bit of well deserved pampering. 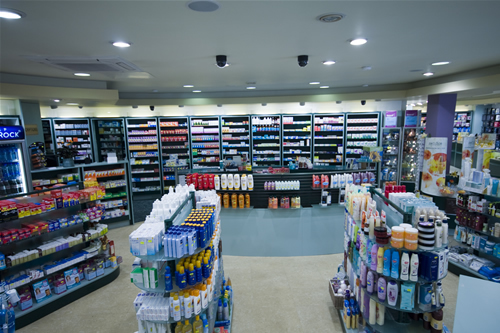 We aim to provide the best possible pharmacy service to our customers and feel that our longevity has proved that our commitment to our role in the community and our convenient facilities help us stand out from the rest. We are also agents for Decléor Paris Exclusive Skincare range, ROC skincare, Loreal, Garnier, Neutrogena, Olay, Nivea and many more. We are agents for Burberry, Paco Rabanne, Carolina Herrera and many more fragrances. We stock Hairspray hair extensions, MAC eyeshadows and The Sanctuary gift sets.